Just west of Kendal is the limestone plateau of Helsington Barrows. It achieves the moderate height of 229 metres above the sea but offers fine views over the Kent estuary. 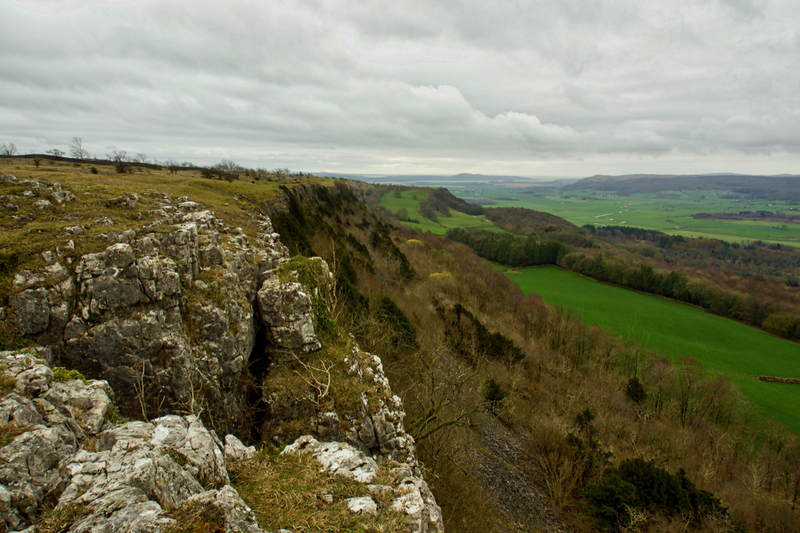 On the east, there is a gentle slope down to Kendal, but the west is dominated by the dramatic Scout Scar. Hodgson’s Leap is a particularly craggy section of the scar. It gets its name from a 19th-century man by the name of Hodgson. Influenced by a surplus of drink he made a bet that he could ride his horse down the side of Scout Scar. Not surprisingly neither he nor his horse survived.